Professionals from all corners of the publishing industry converge on New York City today for Digital Book World Conference + Expo. Cenveo Publisher Services invites you to stop by Stand T1 and see examples of features and functionalities we help input into an ebook publishing program. Not at the conference? 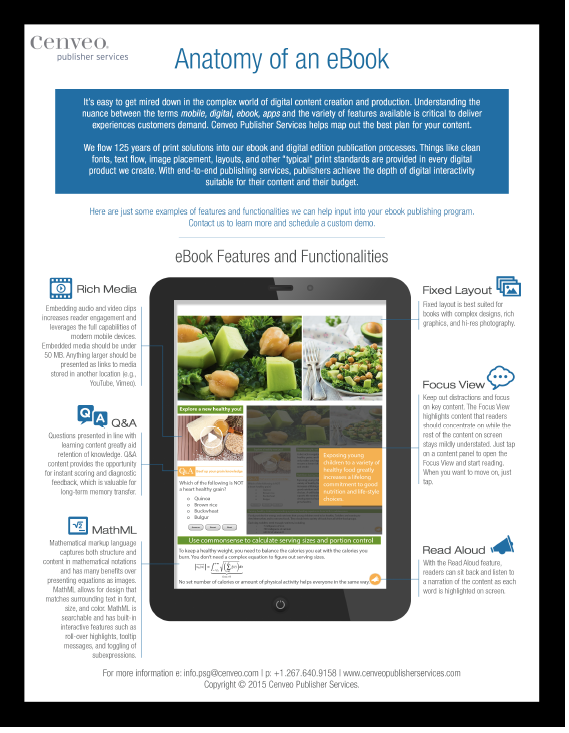 Grab a copy of our latest info sheet, "Anatomy of an eBook!" Click here to download.